Finding the best cheap monitor that caters exactly to your needs is not a simple task. With a myriad of choices and so many brand competing to win the screen market, the customer is often left confused. As is the case with almost all technology devices, the first thing that comes to every buyer’s mind is the price that he or she will have to pay. Considering the recent trends in the monitor market, prices are sky high because brands are offering innovative features in their products. In such a situation, it is crucial that brands show some empathy and care for the financial conditions of their customers as well. Monitors are the most essential and basic need of almost every household since it can be used both for work and even entertainment. Targeting this product line for middle-class buyers is a great decision on their part. This way, the sales of that product would increase provided that the brands offer excellent features that fulfill the necessary requirements. Brands like HP, LG, ASUS and Acer have worked against their common profit-making goal to achieve this. This detailed review will help you decide which one to buy and trust on. Get your hands on this new monitor that will fulfill all the tech needs for a price as low as a hundred bucks. It is a combination of the best specifications in the lowest price. It has a 21.5 inch full HD diagonal display with a resolution of 1920 x 1080 for sharp visuals. Reviewers across the board consider this to be the best cheap monitor in the market. With an IPS panel and no bezels, this is a pretty decent looking cheap monitor. It also has a backlight system that increases the performance of the screen even when in dark lighting. The design is super slim taking up least amount of desk space. Tilt for the screen is allowed both forward and backward so that the user can quickly adjust view as per his or her requirements. The button control system is easy and quick to operate so that you can change basic settings without much trouble. Being certified with the energy star assures the user that least amount of energy will be consumed saving on a lot of extra costs. Customers were satisfied with the display, and even the setup was not that hard or time-consuming. 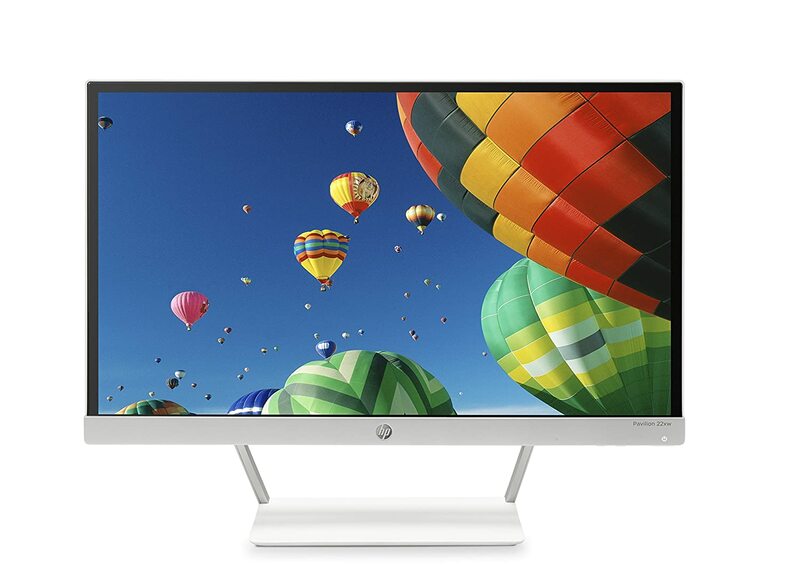 All in all, about 76 percent of the users gave this pavilion series monitor of HP, a full 5-star review. 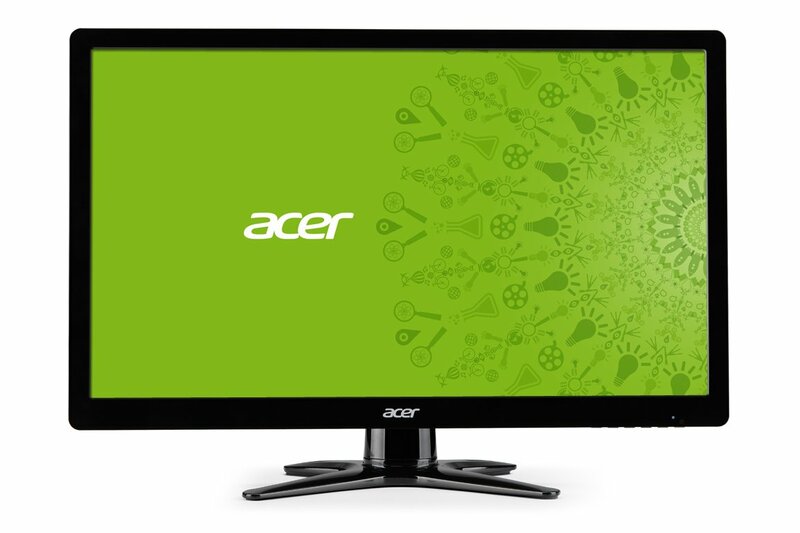 Acer is known for making some of the best cheap monitor in the market for a long time. This 23.8-inch display by Acer is not at all a bad option coming at a price of just below hundreds of bucks. Its wide viewing angle combined with IPS panel ensures that customers get the same image display from all positions. Furthermore, a full HD, high resolution, and excellent contrast ratio guarantee the perfection of colors and image that will be displayed. The sleek deign with zero frames enhances the overall view of the monitor and makes it more in depth. Users can also tilt it forward or backward to suit their respective requirement. With VGA, HDMI and DVI ports you can enjoy all of this by connecting it to other multimedia devices like your smartphone. These monitors come with a blue light technology that makes it possible for users to work for long hours without having to worry about their eye strain, weakness or a headache. Customers loved the LED true to life display, lightweight monitor, and its combination with the stand which is strong enough to hold it still. The only setback to this was that it didn’t have any VESA compatibility by which the users could have mounted it, other than this 70 percent of them gave it a full 5-star review. This G-series monitor by Acer offers multiple features at a price of just around a hundred bucks. A full HD display with a resolution of 1920 x 1080 ensures that the best quality of images and visuals will be put forward. Aspect ratio of 16:9 guarantees a broad and full view, without missing out on any details. A response time of 5ms means that fast moving scenes will be displayed correctly without any distortion and this particular feature attracts gamers as they are always looking for quick response times. It comes with a stand which is designed in a way that it supports the screen from all sides. 62 percent of the customers gave this product of Acer a full 5-star review, while from the remaining most gave a four-star review. Even though customers were happy with the display and its port connectivity to VGA and HDMI, the one thing which took the charm away was the lack of tilt. The screen could not be adjusted, and therefore everyone had to manage every time with the same view and had to change their positions to get an appropriate angle. 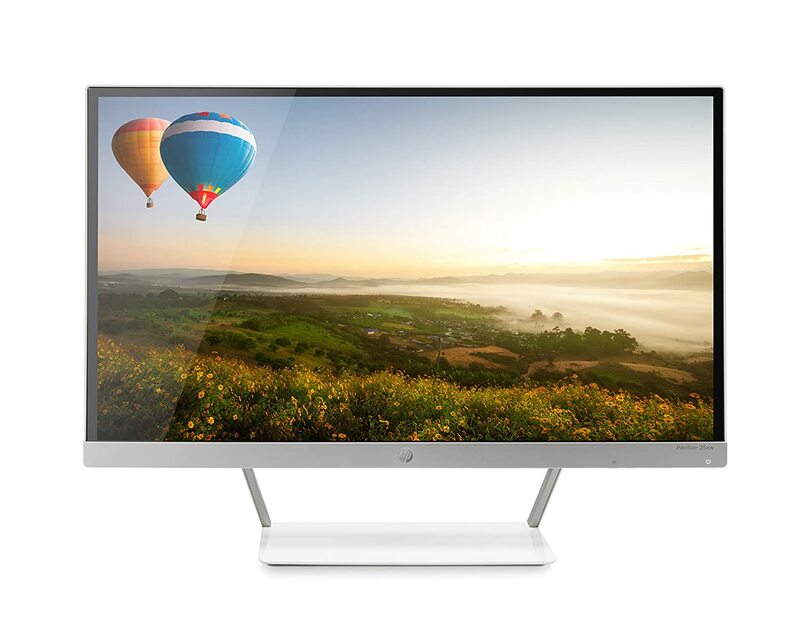 This super economical monitor by HP you will get at a price of just below a hundred bucks. Ultra wide and full HD display combined with Technicolor certification guarantees that users will enjoy the perfect view with sharp and detailed images. Built in IPS panel further ensures the high quality of display and LED backlighting enhances its performance in dark lighting. The contrast ratio is fantastic to show vibrant colors and same goes for the brightness percentage. You can connect it to other multimedia devices with VGA and HDMI ports. Adjustability is not an issue with the tilting of the screen both forward and backward, user love this particular feature. The overall design is super slim taking up least amount of desk space but at the same time also adding to the class of that area with its elegance. Lastly, it is energy star certified which means customers will be saving up a lot of bills and also serving the environment. It received a good response when 76 percent of the users gave it a full 5-star review based on the display which many said was better than the standard that other brands had set. The only problem was with the color settings that only two customers faced, which was later dealt by HP. 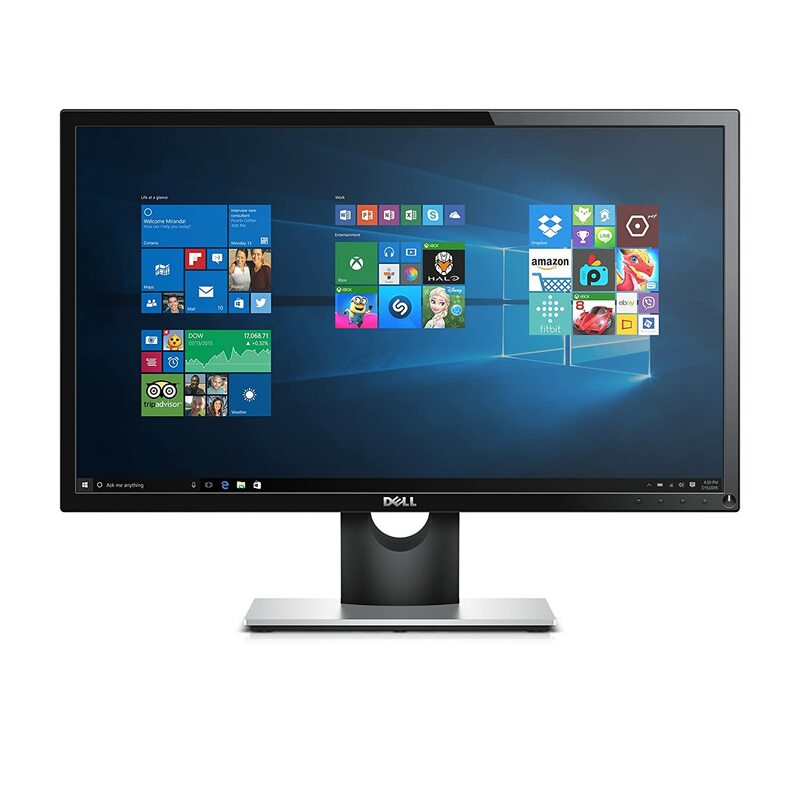 This classy monitor by Dell comes at a price of just above a hundred bucks. Along with the stylish look, it offers the features just perfect to carry out daily work and spend time for entertainment. It has a strong base to give it full support and the easy to use buttons make it easy to control the settings. The large display of 23.8 inches ensures that users enjoy the wide view and get high defined details. It shows the richest combination of colors, brightness, and contrast. VGA and HDMI ports are compatible which means connectivity to other multimedia devices will not be an issue. It is certified with the energy star which means that the least amount of energy will be consumed, saving a lot of electricity bills as well as being caring towards the environment. Customer reviews were somewhat mixed when about only 54 percent of them gave it a full 5-star review. One big drawback to this was that there were no VESA holes for mounting it. Moreover, it didn’t allow for any sorts of adjustments in height which kind of turned out to be irritating for many users. Another monitor in the HP Pavilion series is this one which comes at a price of above a hundred bucks a bit. It has fantastic angles, and a 25-inch diagonal screen gives the best view. The monitor has a very sleek look to it due to a classy combination of silver and white color. The stand at the base is strong enough to keep the screen still, and the open wedge allows the user to access the connectivity ports for VGA and HDMI easily. The resolution is excellent with 1920 x 1080 pixels paired with astounding dynamic, contrast and aspect ratio. All of this ensures that the best quality of picture/image is displayed. The backlit feature makes the screen viewable even in dark lighting so that you can enjoy movies in cinematic situations. If you are looking for a best cheap monitor that also has beautiful looks, then this is one such monitor. Customers were euphoric with the overall product, for instance, they were satisfied that a proper amount of tilt was allowed so that they could adjust their views. And above all, a right combination of features was being offered at an affordable price and due to this about 76 percent of the users gave it a full 5-star review. LG’s best cheap monitor is out there for the grabs. It has a full HD display with a stunning resolution to give the best for image results. Moreover, there is a split-screen option which allows the user to multi-task by dividing work windows into two, so you can watch a movie on one and work on a spreadsheet on the other. The on-screen control lets you access to the basic monitor settings quickly, and with just a few clicks you can perform the actions. The overall design is very sleek and classy, adding more to the décor of your room. At the same time, it takes up least amount of desk space. Last but not the least, a reader mode reduces blue light and prevents the user’s eyes from the strain that he/she can have due to continuous usage. Customers were happy that the whole setup was super easy to install and hardly took up much of their time. Given the regular price, image quality was appreciable though one downside was the unavailability of VESA mounting holes. All in all, 56 percent of the users gave it a full 5-star review. Acer, yet again, follows the lead with its affordable yet multi-functional monitor priced at just above a hundred bucks a bit. 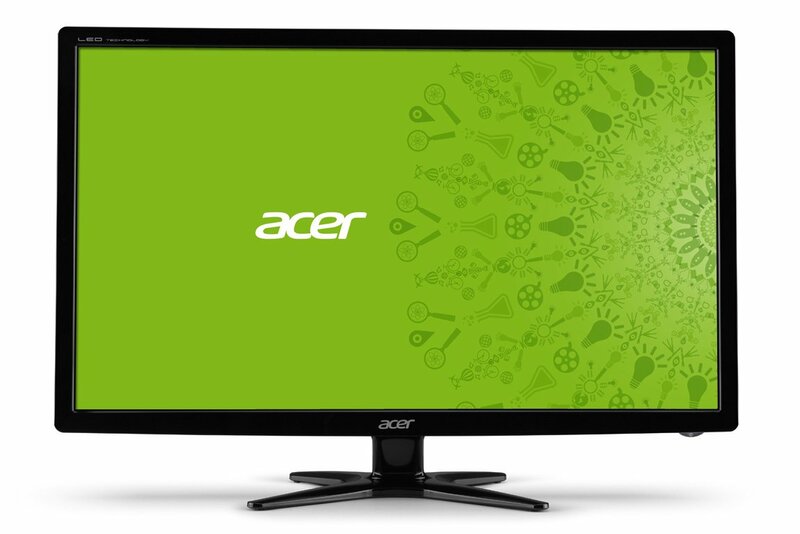 A striking resolution of 1920 x 1080 on the large display of 24 inches ensures that the finest image quality to the user. The screen is wide enough to support HD gaming, multimedia, and productivity. What adds on to the display is the contrast ratio of 100000000:1 which gives deepest of both blacks and whites. A quick response time of 5ms means that there will be no interruptions in fast moving action scenes and no issue of blur scenes. Acer not only aims for customer satisfaction but also fulfills its corporate social responsibility by having the energy star certification that makes sure that at least 68 percent of energy is saved thus saving user costs as well. On top of that, the packaging that Acer uses to deliver its products to customers is all recyclable and contributes further to protecting the environment. Reviews stated that about 61 percent of the users gave it a full 5-star review. Pros of the monitor were its bright and flawless colors, quick response times and environment saving feature. Also, the sleek design looked classy. The downsides were with the stand which wasn’t strong enough to hold the monitor still. Other than this, coming from a neutral point of view, Acer managed to pull it off well. One of the best cheap monitor to have hit the market recently. ViewSonic is a very well renowned brand in the world of technology. The products they launch are the best of its category. Similarly, they worked hard to produce this monitor at an economical price so that they could also target the middle-class market. This monitor has an ultra slim panel without any frame so that more than one monitor can be put aside to this. The display is pretty good offering full high definition and great resolution. VGA, display, and HDMI ports are easily compatible offering versatile connectivity. Built in IPS panel offers great colors and high-quality display. Viewsonic gives its users a three-year warranty for its performance. Therefore, any issue, apart from physical damage, can be resolved. Customer reviews were mixed and contradicted a bit. However, what people wrote praised the great display. Also, 63 percent of the users gave it a full 5-star response. Overall, a good job. 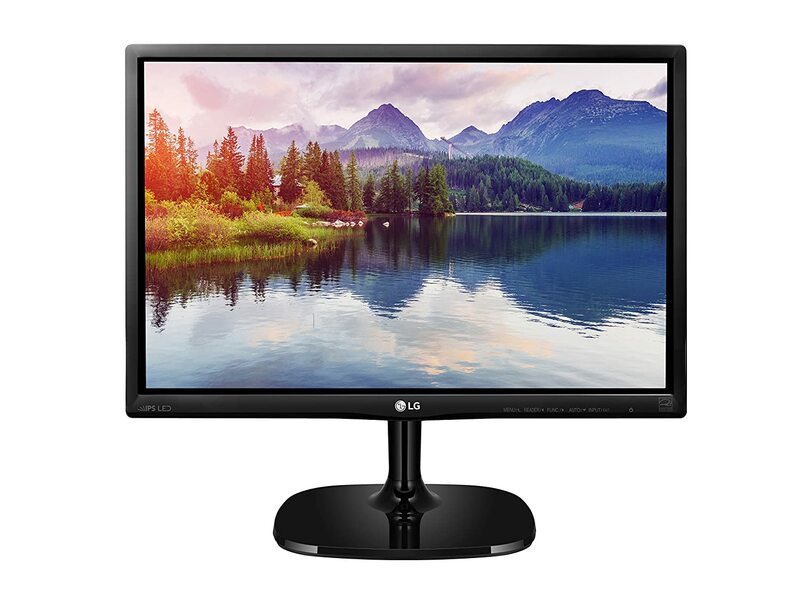 You can find the best cheap monitors offered in both TN and IPS panel. Most of these screens are available in the price range of around a hundred bucks. However, there are a few monitors that are a bit more expensive than that. You cannot expect miracles from these monitors. But, for casual use, they are perfect.